The following are apps using jQuery Geo in the wild and apps that grew from more built out examples. Twheat! 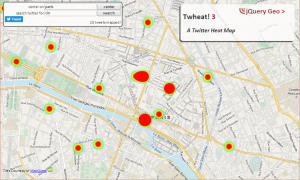 is an app that lets you zoom to a location and search Twitter in real-time.